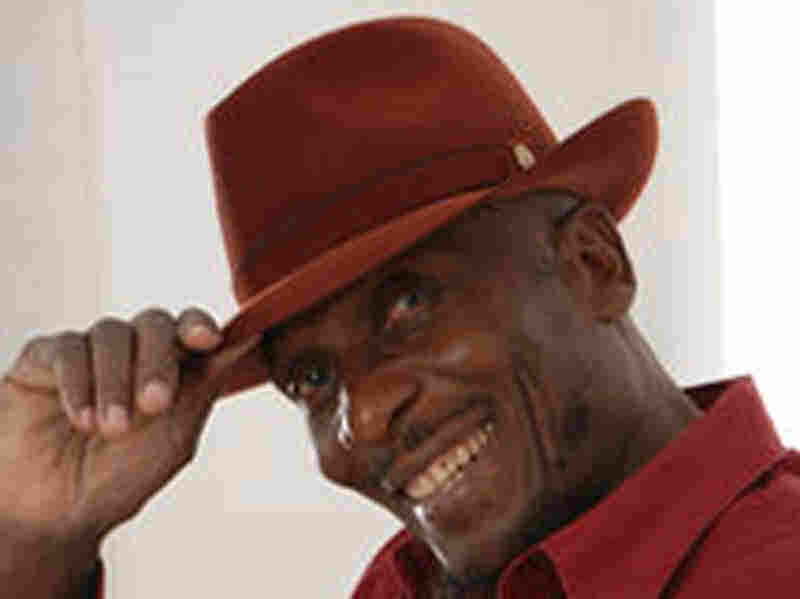 Interview - Jimmy Cliff, Shepherd Of Reggae Music The Jamaican musician was recently inducted into the Rock and Roll Hall of Fame, as only the second reggae artist to be welcomed there. He spoke on his childhood fascination with music, which turned into a long and pioneering career. 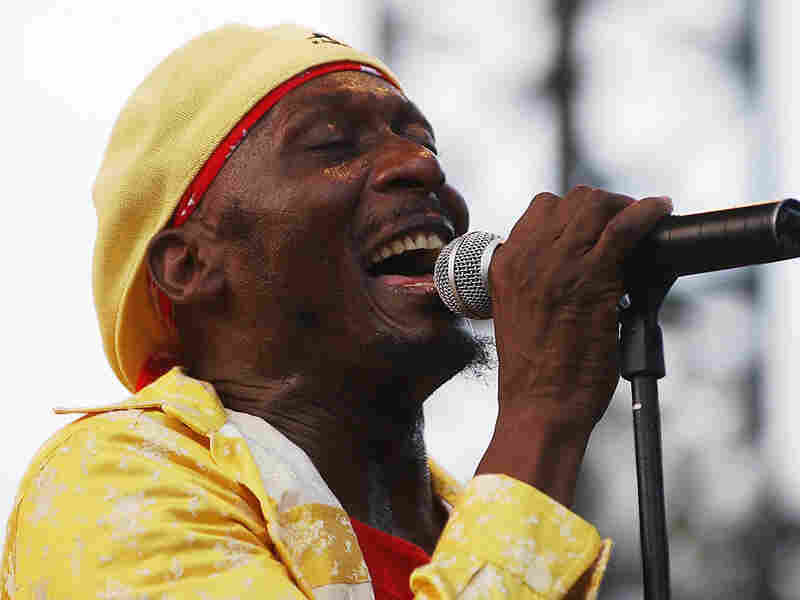 Jimmy Cliff performs in 2003 in Nice, France. This week, the Rock and Roll Hall of Fame got a little more crowded. Monday night marked the Hall's 25th annual induction ceremony. In the class of five: The Stooges, the Hollies, ABBA, Genesis and reggae star Jimmy Cliff. Cliff is the second reggae artist, after Bob Marley, to be inducted into the Rock and Roll Hall of Fame. But he actually preceded Marley in bringing reggae to the international stage, appearing in and performing his songs for the 1972 film The Harder They Come. He has also enjoyed a long and fruitful career in music, with a formidable string of albums and high-profile collaborations to his name. Host Michele Norris spoke with Jimmy Cliff about the honor, and about his early path to reggae. He said his first experiences with music came through churches. "There was a lot of church music around — all different kinds of churches," he said. "Churches that we call Pocomania, which is like the original African church where they just play drums and chant and that kind of thing. So there was all kind of music around me growing up." Cliff says he first heard rock 'n' roll music through a friend, who relayed information about new songs through his radio. And then his father got a radio, too. "Well, my father wanted me to be educated — maybe be doctor, or one of those professions that seems safe," he says. "So while I was taking higher lessons — while I was about to take it — he said, 'Now, which would you prefer: the higher lessons, we have to pay for it? Or spend the money to buy a radio?' I said, 'Buy the radio!' "
Cliff spoke on growing up "economically poor, spiritually rich," its impact on his music, and being seen as an ambassador of reggae. It has made music industry execs salivate for decades: the notion that somewhere out there lies "the next Bob Marley." But while that label has been dubiously applied to one musical candidate after the next, a lone artist can claim not to be the next Bob but, in many ways, the original Bob: Jimmy Cliff — reggae's first major crossover success story. The year was 1972, and the film was The Harder They Come — the Jamaican masterpiece starring Cliff as Ivan O. Martin, a wannabe reggae star who turns to drug dealing, goes on the lam, ultimately gets famous and is gunned down by police. Perry Henzell's reggae-saturated film was ideal for popularizing Jamaican music in unprecedented ways. It flawlessly fused exotic realism — in the form of patois dialogue dense enough to demand subtitles — with familiar Hollywood imagery: The film self-consciously plays with American gangster iconography, including a scene in which shots of a Jamaican movie audience are intercut with images of Ivan being gunned down, as if he's starring in the same spaghetti western we see him watching earlier in the film. The film also exposed American audiences to some of the darker aspects of Jamaican culture: cinema verite shots of Kingston "introduced people to the fact that there was more to reggae than the happy stuff," Cliff once explained. Ivan, meanwhile, was the perfect protagonist because he was both everyman as the Jamaican sufferah, or poor person, and the ubiquitous struggling artist, and one man: Cliff himself. "The only difference between me and the film," Cliff has said, "is I never kill anyone — yet!" Like Martin, Cliff moved from country to city and landed in the music business at age 14, soon relocating to England to work with Chris Blackwell of Island Records. His 1968 international debut was a hit in Brazil, and other singles charted in the following years. But it wasn't until The Harder They Come and its hit soundtrack, containing four classic Cliff tunes — the best-selling reggae album ever, until Marley's 1984 Legend set — that Cliff found himself on the verge of superstardom, a prospective poster child for an emerging genre. As it turned out, Cliff and The Harder They Come were more harbinger of the reggae movement than the thing itself; in 1973, Bob Marley and The Wailers' Catch A Fire was released, and the rest is history. But Cliff's crossover feats remain striking: He has released more than a dozen albums on major labels, collaborated with Annie Lennox and Sting and seen his songs covered by everyone from Cher and Rancid to Willie Nelson and Bruce Springsteen. "I've always seen my role as one of like a shepherd," Cliff recently told a reporter, "one who opens the gate."